Posted on January 22, 2018	by Rachel L.
Instilling a culture of safety is a near-universal corporate goal, and the New Year is a great time to put such a plan in action. A safe workplace is a fundamental corporate priority. The end of one year and beginning of the next is a perfect time to reflect on where a company has been and look ahead to where its going. Goal-setting is a major priority, whether that means personal resolutions or corporate objectives. When it comes to business goals, improving workplace safety is an obvious and worthy choice. While there are many smaller, granular details that leaders can address, it pays to start with a central pillar: Does the company have a positive culture of workplace safety? Company culture is a blanket term for the way things are done at a business. A good safety culture implies that responsible and secure practices are deeply ingrained in the way people complete their tasks, starting with executives but extending to every level of the business. Getting everyone on board with organizational safety can have a good impact for months and years to come. When it comes to establishing a central culture of safety, every employee needs to be involved. It’s up to executives to get the ball rolling, however. The Occupational Health Center blog named a few of the practical steps that can begin this process. Naturally, leaders should begin with a detailed understanding of their respective companies’ safety needs. No two workplaces are the same, and the risk factors will naturally differ. 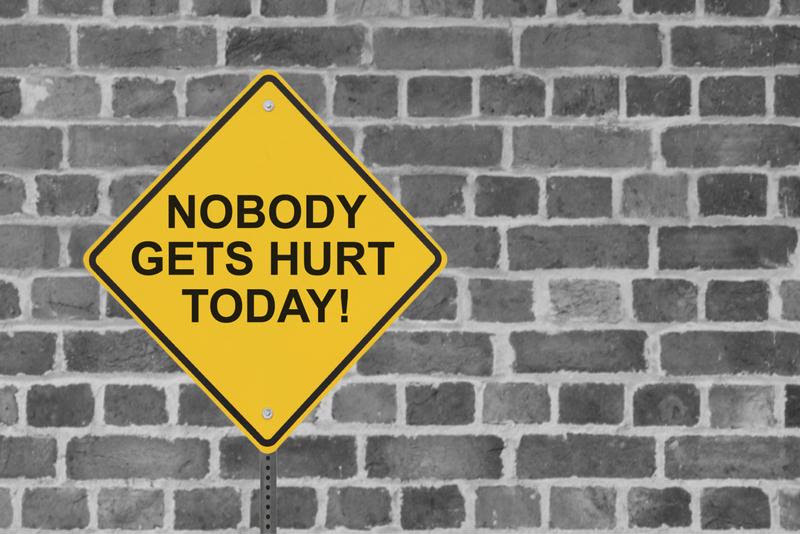 Trying to take a generic approach to workplace safety may fail to resonate with employees – and their buy-in is vital. EHS Today pointed out that every company honored as part of its 2017 America’s Safest Companies list included this level of engagement from all corners of the company. These businesses committed themselves to preventing problems wherever possible instead of simply reacting to them, and they were rewarded with below-average rates of both illness and injury. Communication is critical. If leaders struggle to explain either the value of staying safe or the steps to do so, firms may fall short of their safety goals. Saying that there is a new culture of safety and actually experiencing a new and improved workplace style are two different things, and open lines of contact between different levels of the organization are critical. Workplace safety culture should reach all levels of a company. When it comes to turning a workplace safety culture from words into action, formalized training has an essential role. There are new practices and priorities to be learned, all differing by industry and organization size. This is the kind of information that should be passed along in an organized and centralized way to make sure each individual grasps his or her unique and pivotal role in the newly established culture. As for the format the training takes, modern workplaces may find video courses are an especially useful fit for their needs. When new employees come on board, they must get up to speed with the culture as quickly as possible. Having access to video-based training gives leaders a quick and low-cost way to educate employees as the need arises. Scheduling an in-person instructor session whenever a new employee joins can be cost prohibitive, and waiting months or years between visits to offset the expense may mean some workers go without training for a long time. While the process of instilling a culture of safety – and making it stick – will differ by workplace, the following video courses offer potential starting points for businesses looking to reinvent their processes for the better. Back To Work, Back To Safety: Safety practices and habits can fade when an employee is away from work, no matter the reason. By using a training course specifically designed to correct and safe behaviors in the forefront of workers’ minds, companies can prevent this erosion of practices. Employees will learn to refresh themselves on habits, check their equipment and get in the right frame of mind to resume work – safely. Making Safety Work: As described above, getting every employee on board with safety culture and the related best practices is one of the major steps required to implement such a system. This particular course is designed for production facility safety – the exact right training for each environment will differ, but the common thread is the universal need for preparedness. New Employee Safety Orientation and Training: When new employees join a company, it’s important for them to buy into the safety culture immediately, internalizing its practices and making them second nature. This video course brings recent hires up to date on Occupational Safety and Health Administration guidelines, from threat recognition to the proper use of personal protective equipment. Taking stock of their organizations as 2018 begins, leaders should ask themselves whether their organizations are treating safety as an everyday pillar of operations – it can be a tough question, and they have to be honest. If safety has fallen down the priority ladder, it’s time to restore it to its rightful place. This entry was posted in Workplace Health and Safety and tagged safety, safety culture, Safety Training. Bookmark the permalink.